Today marks one month since I have started working. How has it been so far? 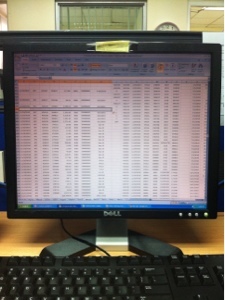 I don't mind doing lots of manual work especially spreadsheets. I do, however need to find ways to simplify them. I like my colleagues, but not my bosses. I mean, seriously, who does?!! I do not like to attend or go for meetings but it is somehow a getaway from looking at the computer the whole day. You don't have a driving license yet? Seriously Effa?